The Taste of Chicago is the greatest food festival in the world and it just so happens to be in my hometown. Yes I’m biased, but it really is the best. Every summer millions of foodies across the globe descend upon the Windy City for some good eating and radically fabulous entertainment. Rapidly securing the 2-spot as the best food fest is Queens…A Taste of the World. Last Tuesday, more than 1,000 hungry New Yorkers dropped by Citi Field to sample delicious morsels from over 40 Queens-based restaurants. I, along with friends George Carmona, Lace, and Jim Willis – my photographer for the evening – joined the crowd for some belly-filling fun! Queens….A Taste of the World is celebrating its 9th year, and for the 3rd straight year returns to the home of the Mets. In 2009 the festival was the first non-sporting event to grace the halls of Shea Stadium’s successor; the Honorable Mayor Michael Bloomberg was on tap to cut the proverbial ribbon. But that was then and this is now. It’s 2011 and the Queens Taste was just as delectable this year as it has ever been. Queens holds the distinction of being the most diverse borough – a fact that was proven by the cornucopia of dishes available at the festival. There was a lil’ sump’in for everyone. Whether you love Mexican food, Greek cuisine, Italian fare, American grub and if your palate desires seafood, steak and potatoes, chicken or you have an insatiable sweet tooth like me – Queens…A Taste of the World was (and will be next year) the place to be. The festival vittles were definitely scrummy; my fav was/is the Scrumptious Carrot Cake from Cascon Baking Company. I’d like to consider myself to be a carrot cake connoisseur and I have to say that Cascon’s is on point! It’s moist and tasty and the cream cheese frosting is RIDICULOUS! Big shout to Andy Gioe for always looking out for me. The chocolate-covered pretzels from Sweet N Salty by Design– Yum! I had a great time playing a game of “How many different pretzels can I collect? Thanks to my accomplices for playing along. Yes, I liked some non-sweet things too; Bourbon Street’s crab cakes were delish! 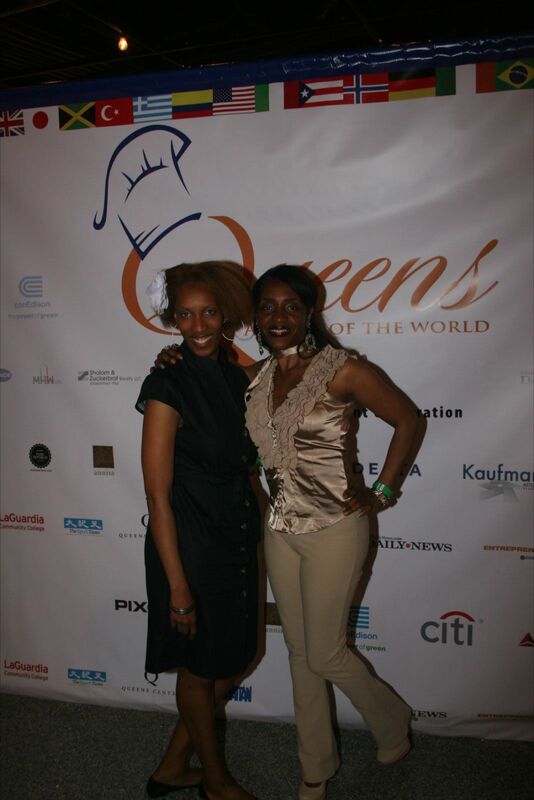 Queens…A Taste of the World is the annual fundraiser presented by the Queens Economic Development Corporation. My girl Michelle Stoddart is one of the event’s main organizers. Modesty prevents her from bragging, so allow me to toot her horn. TOOT TOOT! Once again a smashing job. 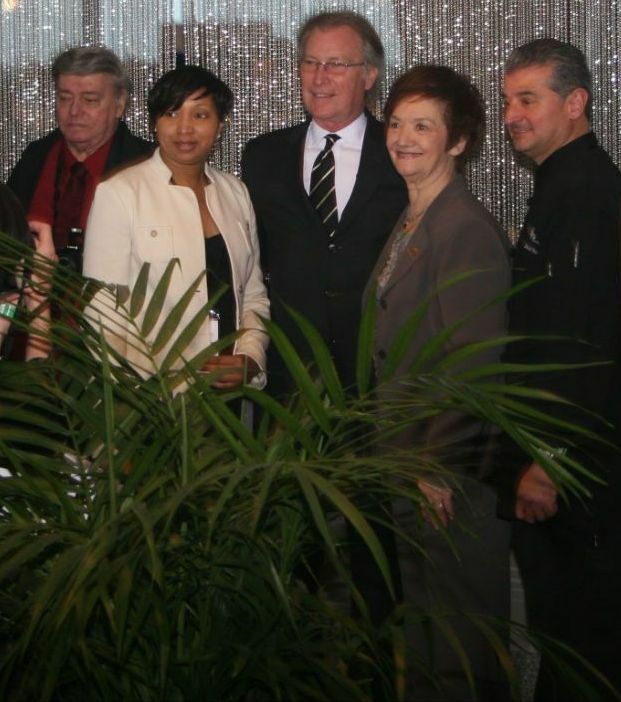 The entire QEDC team works tirelessly for months to pull it off each year and make it look seamless. Additionally, with its’ “Discover Queens” campaign, QEDC has been successful in making the Borough of Queens a viable and very attractive tourist hangout. Kudos! Naturally, you can’t have a popular New York event without a few famous faces. 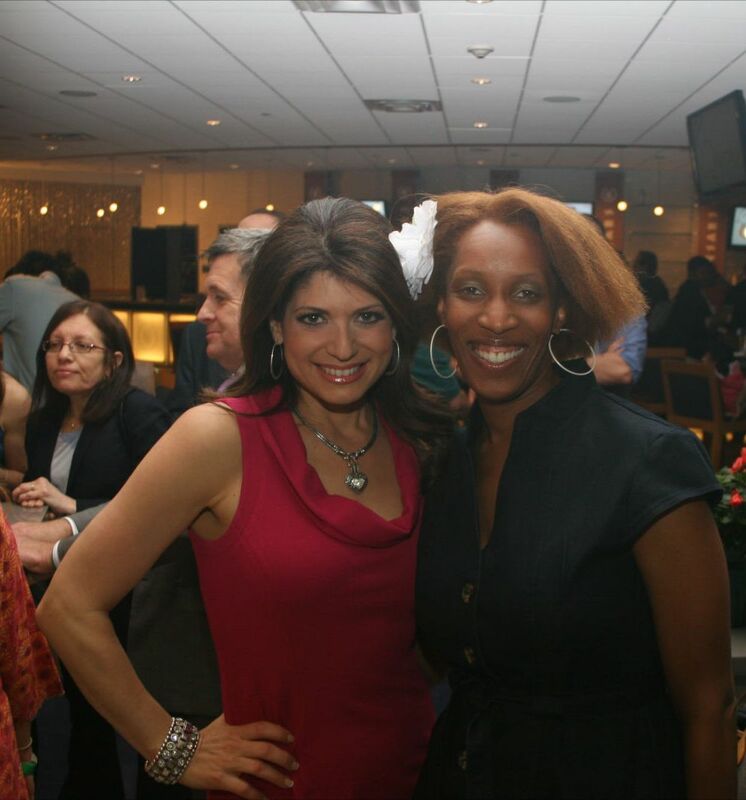 PIX 11 News Anchor Tamsen Fadal took time away from her reporting duties to host the event. BTW, she thought that I was “adorable.” Tamsen, you’re pretty fab too! 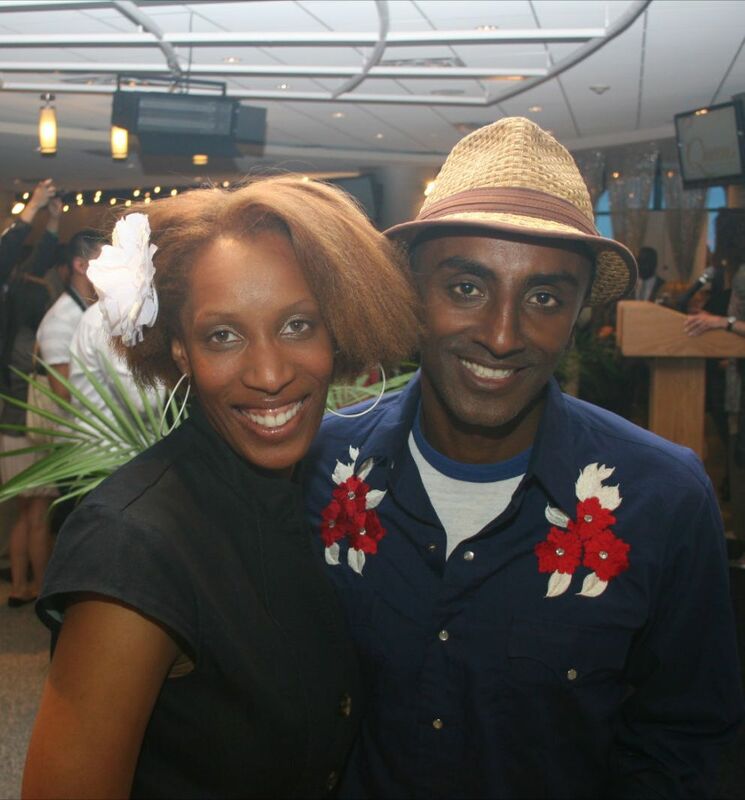 Celebrity Chefs Anita Lo and Marcus Samuelsson, who is a complete sweetheart, were also in the house to lend their support as taste testers. Hmm, I wonder what radically fabulous people will drop by Queens…A Taste of the World next year? I most certainly will be there. If you’re smart (and hungry) you will too! Looked like good times… I’ll surely be there next year! Yes ma’am, you must join me! This sounds like a “must attend” event for food lovers. Which I am. Because of your blog I will add both The Taste of Chicago and Queens to my bucket list. I’ll be glad to join you!